Dental Blog posts, information and advice which mention Teeth whitening Harrow. 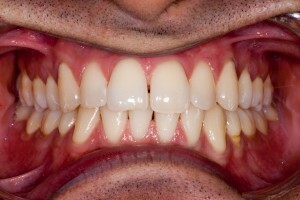 Most people want to have teeth that aren’t brown, yellow or badly stained. 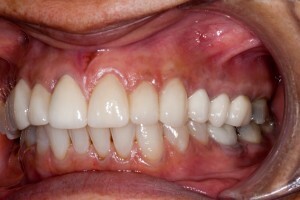 Teeth whitening is often the first port of call. 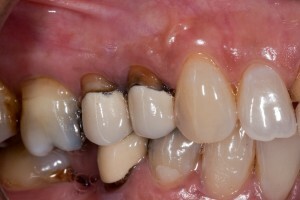 Most people want to have teeth that aren’t brown, yellow or badly stained. Teeth whitening is often the first port of call but there are also many things you can do at home, come to that, there are many things you can avoid at home to help you have whiter looking teeth. 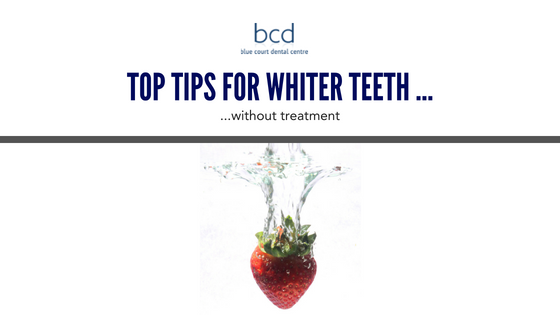 We then finish off our list with one final secret for whiter looking teeth… Read on to find out more. Watching your oral health care routine. If you keep your teeth clean then plaque will not build up, stains adhere more to plaque then they do to tooth enamel so if your teeth are clean then they are more likely to look whiter. Using an electric toothbrush. It has been shown that using an electric toothbrush means you are more likely to clean your teeth adequately. Many electric toothbrushes have a timer pressure sensor to ensure you don’t press too hard and clean for the right amount of time. Cleaning in between your teeth. By using floss or an incidental brush you will keep your teeth cleaner and prevent the buildup of plaque which can look dark, yellow or discoloured. Smoking. Smoking dries out your mouth, if the mouth is dry it has less saliva and it is saliva which neutralises the acid from the bacteria. 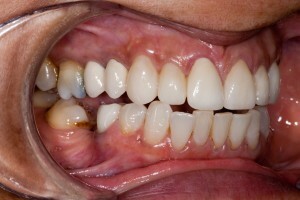 This means that smokers are more likely to have tooth decay which can look dark, brown or black. If you have plaque buildup around your teeth then smoking will also discolour this plaque giving your teeth are very yellow look. Avoid anything that can stain, think of your teeth like a white T-shirt, anything that can stain the T-shirt can stain your teeth! That doesn’t mean stopping eating food which is healthy for you, it just means think about how much you eat and cleaning your teeth afterwards. In addition to things you definitely should or should not do there are a few extra things which you may want to consider in your pursuit of whiter teeth. Eating Strawberries. Now we don’t mean eating tons of strawberries every day, however strawberries contain malic acid, in small doses it has been shown that malic acid can whiten teeth… But don’t go overboard as it is also an acid and can actually damaged teeth if used too much. Eating crispy or firm food can clean your teeth naturally as you go. Eat them towards the end of the meal as they will then help to naturally clean your teeth with their rough and crunchy edges, think about things like carrots or celery. Chewing gum after eating stimulates production of saliva which neutralises and cleans your teeth by washing away debris. Always use a sugarfree gum. Coconut oil pulling. This seems to be a modern trend but there is no evidence to show that coconut oil whitens teeth in any way at all. In fact, some toothpastes are now including coconut oil but may not include enough fluoride. In this instance, this can lead to tooth decay due to a lack of fluoride. The same also applies to activated charcoal. Beauty salon whitening. people often believe that you can go to a beauty salon for teeth whitening, however teeth whitening is not legal for anyone other than a dentist (or a dental hygienist or dental therapist working to prescription of the dentist) to carry out tooth whitening. Using hydrogen peroxide/bleach. Whilst teeth whitening gel at a dental practice utilises hydrogen peroxide it does so in an extremely controlled and limited way. Using home bleach or any other form of non-dental hydrogen peroxide without the strict supervision or control of the dentist can be extremely dangerous as the soft tissue/gums can burn easily. 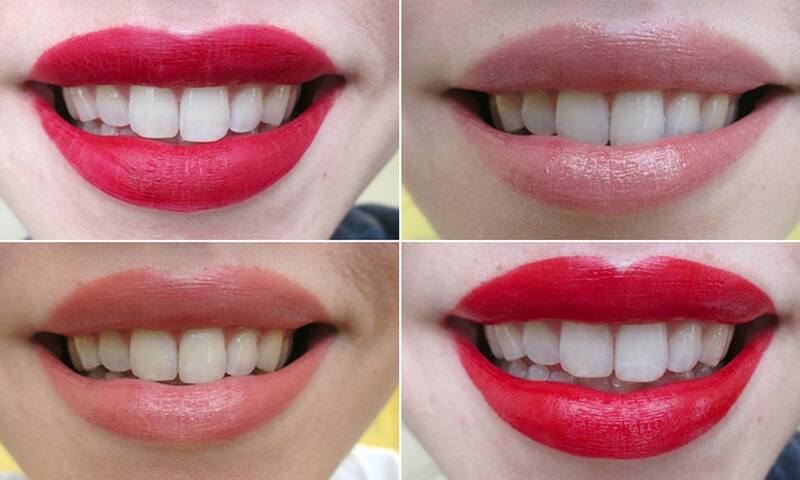 So here is our final secret for whiter looking teeth… Wear red lipstick! It’s a tip used by many celebrity and make up artist as the red lipstick forms a contrasting frame around your teeth making them look whiter. This entry was posted in Cosmetic and tagged teeth whitening on 26 July 2018 by Dr Nishan Dixit. With more and more people looking for cosmetic dentistry, particularly teeth whitening in the Harrow area we thought we would write an article which outlines some of the problems faced by the general public when looking to have whiter teeth. Teeth whitening is often viewed as a quick fix and many people are looking for the cheapest option. 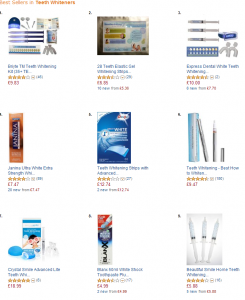 This has driven many patients to the idea of whitening their teeth at home – just doing a search for teeth whiteners on Amazon brings up a whole host of options including home whitening kits, elastic gel whitening strips, advanced teeth whitening programs, toothpastes, laser lights and whitening pens. Amazingly some of these products start from as low as 30p for the plasma whitening light and £3.17 for the whitening pens so it is easy to understand why the temptation is there. Here’s more detailed information on that search on Amazon. Also reported in the Harrow Times a couple of years ago was a trading standards report which carried out tests on some DIY whitening products and found some of them contained 7.3% hydrogen peroxide which is way over 0.1% legal limit. We’re aren’t suggesting that any of these products shown here contain these unacceptable levels of hydrogen peroxide, but it’s worth noting that when you purchase things on the Internet you don’t always know exactly what you’re getting as everything is unregulated. This means that if you have your teeth whitened by anyone other than a dental professional it could be considered illegal and prosecution could follow. The process of whitening teeth uses hydrogen peroxide to bleach them, whilst this is in a very low concentration it needs to be carefully controlled around your delicate gum area. 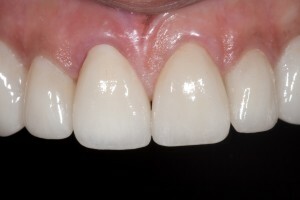 The way this is controlled is by manufacturing a highly customised and bespoke ‘tray’ which fits over your own teeth, this tray is designed in such a way to prevent leaking of the bleaching gel into the gum area. The manufacture of these trays is something which needs to be undertaken by professional that knows exactly how to design them to prevent damage to your delicate gum. Teeth whitening is also not suitable for everyone, you need to have good oral hygiene and be free of certain dental diseases. Only a trained dental professional will be able to tell if your oral health care routine is good enough to have whitening, we have even seen cases where patients have had teeth whitening by non-dental professionals and that patient’s teeth was covered in plaque. The results of this was that it wasn’t the teeth which were whitened, but the plaque, and this will pick up staying again very quickly. 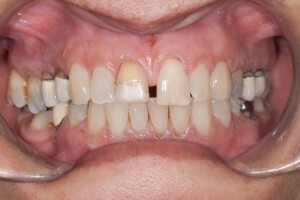 A dental professional would recognise this problem early on and recommend a course of oral hygiene education/treatment before the teeth whitening is carried out. In rare circumstances we have also seen teeth whitening performed by non-dental professionals to cause burning of the gums. 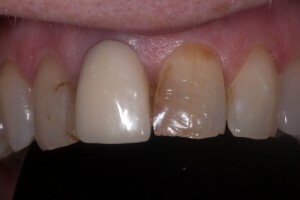 This can happen if the customised whitening tray does not fit well enough, once again it takes a fully trained dental professional to recognise this problem at an early stage. The problem of non-dental professionals undertaking teeth whitening has become so great that a new organisation has come into formation. The teeth whitening information group (TWIG) is a group of dental professionals and manufacturers who are concerned about the problem of harmful, illegal products and unqualified people carrying out teeth whitening. They offer a useful information leaflet and a facility to report any illegal teeth whitening happening around Harrow area and beyond. So, what do you do if you want safe teeth whitening? 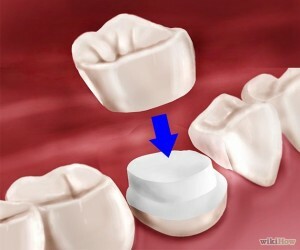 The only way to know for sure that you will be safe during teeth whitening is to visit a dentist. This dental professional will have a detailed understanding of your oral health and be able to advise if teeth whitening is suitable for you. Unfortunately it’s not always that simple this article in the mail online talks about how one patient spent £600 on teeth whitening and saw no result at all, and that was with a dentist. Results can vary and can never be 100% guaranteed so we recommend asking any dentist that you go to see for before and after photographs of happy patients. You also need to feel that you can trust your dentist, so ask them about the risks, discuss with them the possibility that the whitening may not work and what would happen then. Being open and honest with your dentist before any treatment is the best way to ensure that you get the excellent teeth whitening result that you will be looking for. Having said all of that teeth whitening remains one of the easiest ways to look and feel more confident with your smile. 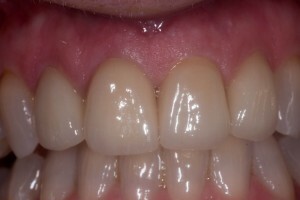 It is generally available to anyone with a healthy dentition and with all of their own teeth (if you have crowns, veneers or white fillings then these will not whiten so you will need to discuss with your dentist the possibility of having them replaced after your natural teeth have been bleached). This entry was posted in Cosmetic, Share This Post and tagged home teeth whitening, teeth whitening on 17 December 2013 by Dr Nishan Dixit. 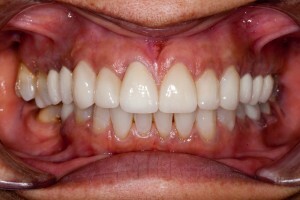 This patient wanted to improve his smile by changing his discoloured teeth to a brighter natural white. 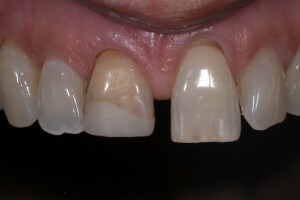 To achieve this result, the teeth were bleached using the home whitening system. 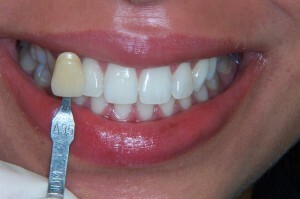 This is a highly effective way of lightening the natural colour of the teeth without removing any of the ttoth surface. 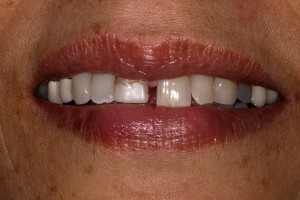 The treatment took approximately 2 weeks, leaving the patient delighted with the end result. This entry was posted in Cosmetic, Dentistry, Share This Post and tagged home teeth whitening, teeth whitening on 14 January 2013 by Dr Nishan Dixit. Who wants a B1 Tooth Shade? We’ve seen many patients asking for the lightest teeth possible when they come to our practice in Harrow for teeth whitening, so we thought we write a blog post explaining more about the tooth shading system that we use, and how light is a B1 shade compared to an A3? Many teeth whitening products on the market suggest that they can lighten teeth by 20 or 30 shades, however it all depends how you wish to grade those shades and how close together one decides to make them. Many times, all these companies do is add extra shades as half shades thereby increasing the number of shades they can lighten your teeth! The professional way to monitor teeth whitening and how light your teeth are is by using an industry standard guide, rather than by making one up. The normal tooth shade guide has four main categories – A, B, C, D. These range from yellowish, reddish tooth shades, through to greyer teeth. Then within these categories there are up to 4 lightness shades – 1, 2, 3 & 4 with number 1 being the lightest. There are a few variances of this, however to keep things simple this is the basic principle of how we measure tooth colour. The average shade for a tooth is A3, this is considered a normal colour and around 70% of the population have natural teeth which are within this range. A B1 shade is considerably lighter than A3 and is generally considered the lightest naturally occurring shade. However, with the advent of tooth whitening patient driven shades are now getting considerably lighter than this, and are often called Hollywood white shades. 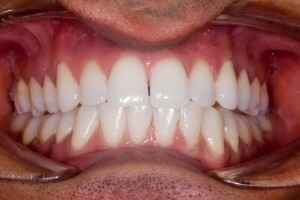 About 10 years ago if you asked the dentist to whiten your teeth to a B1 shade then this would have been considered very bright, however with more and more celebrities having their teeth whitening or even having veneers to an ultra-white colour this has driven popular public conception to consider that B1 is no longer white enough. Our Harrow-based cosmetic dental practice is happy to discuss with you your current tooth colour shade and how light your teeth could possibly go with teeth whitening. We can look at a B1 shade compared to your current shade to see if this is too light for your skin tone and overall complexion. The practice in Harrow is easy to find and there is normally plenty of parking on the street outside. 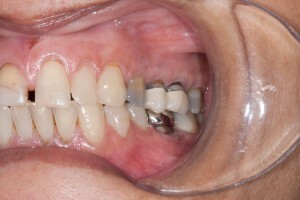 This entry was posted in Cosmetic and tagged B1 shade, teeth whitening on 22 September 2012 by Dr Nishan Dixit. 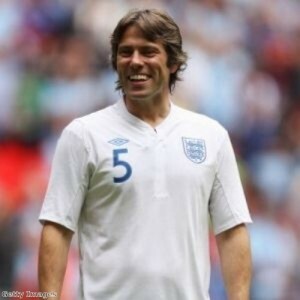 The comedian John Bishop has recently had teeth whitening, a process where we can apply a small amount of whitening gel to your teeth to remove dark and yellow staining in order that your teeth can be beautifully white again. teeth whitening is an increasingly popular option for people in the public eye, or for those who are concerned about their appearance. So long as you have all of your natural teeth, and don’t have a veneer or Crown at the front it is more than likely that you are suitable for a teeth whitening procedure. What other types of teeth whitening available? Teeth whitening in Harrow is available from Blue Court Dental using either home teeth whitening or dental tooth whitening. Home teeth whitening allows you to easily control the amount of whitening that you want, you simply use the whitening trays with a small amount of bleaching gel each day until you reach your desired whiteness. You can also stop whitening if your teeth come too sensitive. Teeth whitening works by applying a small amount of gel to your teeth which then breaks up the stains and discolouration. 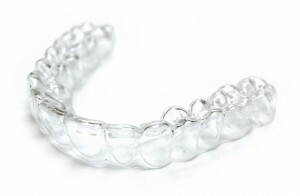 This gel is held in place by seeing, clear whitening tray which is made to fit precisely over your teeth. 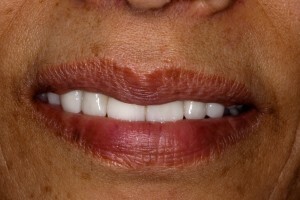 Blue Court Dental Centre provides teeth whitening in Harrow for the local people. This entry was posted in Cosmetic, Questions & Answers and tagged home teeth whitening, teeth whitening on 14 August 2012 by Dr Nishan Dixit.